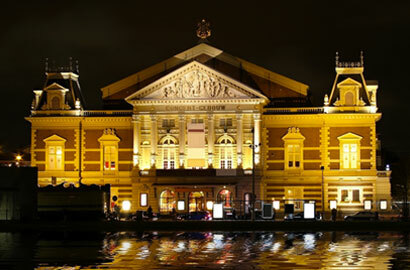 Laying on Airbeds and Doilys While Listening to Concerts in Concert Hall of Amsterdam | Marbella Marbella – Adelante! 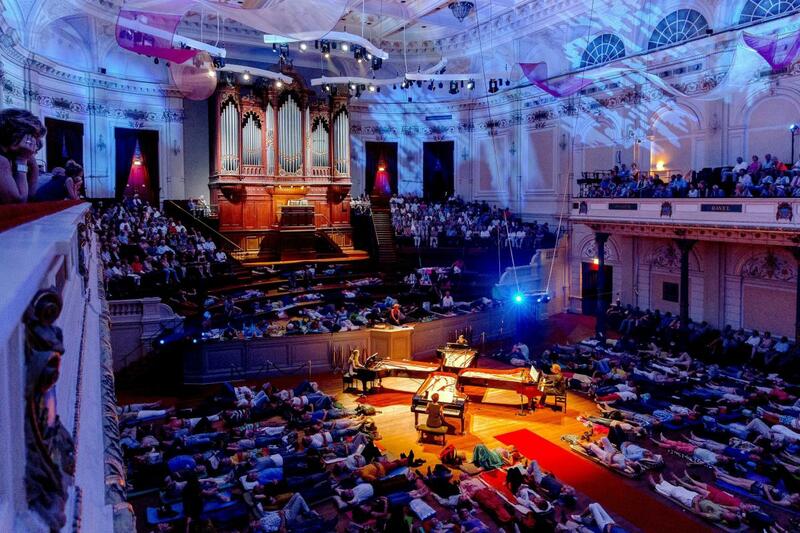 Thursday 10 July it was possible for the audience in the great Concert Hall in Amsterdam to lie down while listening to Canto Ostinato, the most famous masterpiece of Simeón ten Holt (NL). Pianists Sandra and Jeroen van Veen (NL), Elizabeth and Marcel Bergmann, and Aart Bergwerff at the Maarschalkerweerd Organ, did play two times 1,5 hour a version of Canto Ostinato. Normally the piece is played on piano’s, but this time Aart Bergwerff palyed the very famous and special Organ ‘Maarschalkerweerd’ named after the designer of this organ. The audience experienced a concert with the deep sound of this organ completing the repetitive sound of the grand piano’s whilst there was a light show which completed these unique concerts. Succeeding the 12 CD box Canto Ostinato XL we present to you Canto Ostinato XXL: four CDs, one performance. For the very first time organ intensely and engagingly complements the animated sounds of four grand pianos in a recording. We decided to take our time with this version; to not restrain ourselves by the time limits of a typical concert. Not only did we free ourselves from an arbitrary duration, we utilised our creative minds to vary within the sections we played as well. This resulted in a brand new recording from a complete new perspective. The four fantastic Steinway grand pianos and the Van Pels & Van Leeuwen romantic organ harmoniously give rise to the most beautiful of sounds. Canto Ostinato predominantly pertains to the concept of time; taking your time, pastime, making time. The piece is characterised by a largely predetermined structural foundation. The composition leads to a melodic passage (section 74) in which fragments subtly but beautifully mingle with preceding melodies. An established climax and a mid section (88) follow. This repeats with another climax and mid section (91). The piece concludes with the core melody. 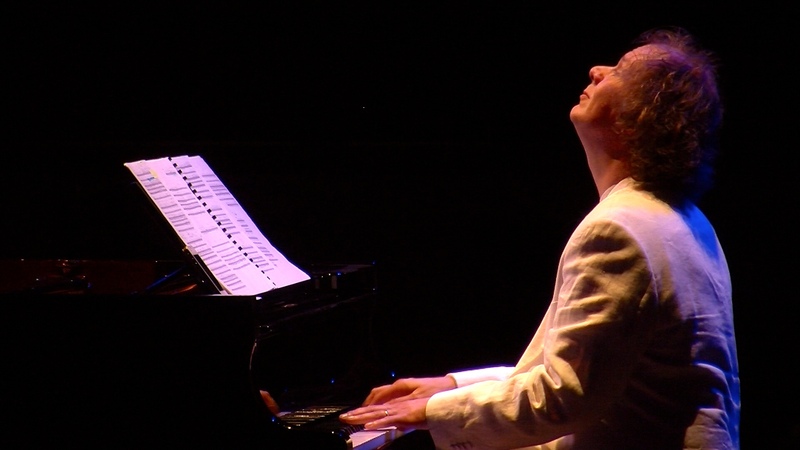 Simeon ten Holt wrote Canto Ostinato between 1976 and 1979 from behind the piano. The first public performance of the piece in Bergen, NH was both praised and criticized. It was critiqued for its sweetness and simplicity. Ten Holt wrote his pieces at a time when people were used to an entirely different kind of music; composers in aspiration for financial support from the “Fonds voor de Scheppende Toonkunst” better wrote their work in an atonal style. Nevertheless, Simeon covertly persued his own way since he realized that the atonal style he had utilized thus far was not really working for him. He used to call his work “the tonality after the death of tonality”. Eventually it became a success. Tens of thousands of CD-recordings have been sold and it has long been an iTunes hit. That’s a unicum for a contemporary Dutch composer. What attracts people to Canto Ostinato? It has been called immersive, tranquillizing, melancholic, vivaciously, romantic and minimalistic. The charm is in the clarity of sounds, best comparable to piano music of Chopin. The special time signature with repetitive groups of five beats (not exactly repetitive; subtle changes may be induced according the performer’s preference) has an almost mesmerizing effect on the listener. Like “going out and coming home”, music is a play of tension and relief that fades because of the elongated repetition of these groups. Using the varying repetition and the difference in orchestration, a listener’s journey through Canto varies each performance. 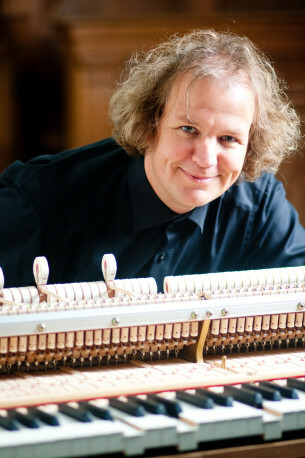 In addition to Canto Ostinato, Simeon ten Holt wrote similar compositions like Soloduiveldans (Solo Devil’s Dance), Horizon, Lemniscaat, Incantatie IV and Méandres. 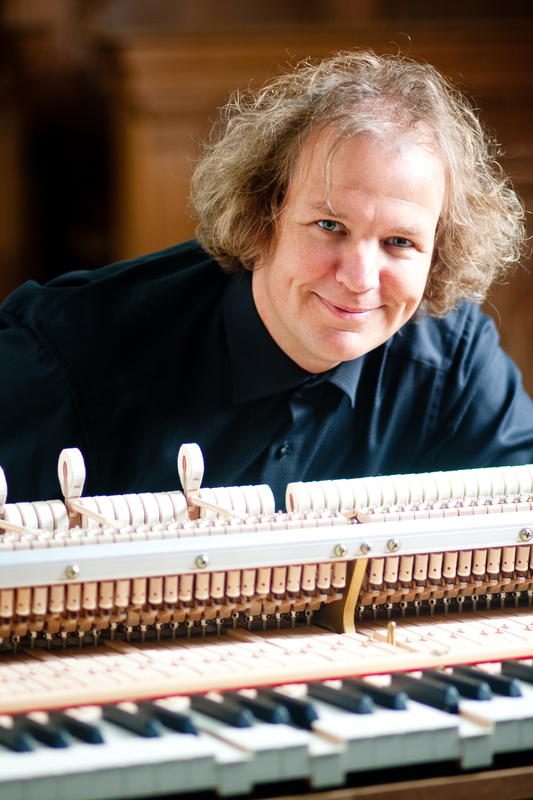 A notable change in these last pieces is Simeon’s gradually changing attitude towards the performer’s freedom to bringing variance in playing the pieces, which decreased over time. Two most contrasting works of him relating this freedom of variance are Canto Ostinato, which gives lots of freedom, and Méandres, a later work of him which gives the performers less freedom. Freedom in music has to be seen within a certain context, something that has to be learned, according to Simeon. Ten Holt stopped composing in 2000. “Wat ik te zeggen had, was gezegd” (“All I had to say has been said”) he wrote in the peroration of his memoires (“Het woud en de citadel”, 2009). In 2013 “Canto Ostinato” by Wilma de Rek was published. She talks in detail about her interviews with Simeon ten Holt and some musicians. Simeon ten Holt died 25 November 2012 at the age of 89. The first performance of Canto Ostinato took place on April 25th 1979 in the Ruïnekerk in Bergen (Holland) and was realized using three pianos and an electronic organ. Other combinations are possible using keyboard instruments. But the performance with four pianos is preferred. Canto stems from a traditional source, is tonal and makes use of functional harmony; it is built according to the laws of cause and effect (tension-release). Although all parts of Canto have their fixed position in its progress and are not interchangeable without violating the melodic line, the internal logic and form, beginning and end do not have absolute meaning as boundaries of form. Time plays an important role in Canto. Although most bars or sections feature repeat signs and although the performer(s) decide(s) on the number of repeats, one cannot speak of repetition-as-such. Repetition in this case has as its goal to create a situation in which the musical object affirms its independence and can search for its most favourable position with respect to the light thrown on it, becoming transparent. Time becomes the space in which the musical object floats. The performers have a wide margin of contribution. They decide about dynamic contrast, duration (in detail as well as for the whole) about the use of opposing or non-opposing differentiation of timbres, whether or not to play passages in unison. Also about repetition and combination of bars and sections, depending on their place within the score. The performers also decide, depending on available time and physical effort, whether they will take turns or if there will be a pause. At the first performance, which took about two hours, a pause was held at number in the score, a pause in which a pre- recorded tape was played of the first sections (A, B and C) following number. The concert was resumed after minutes (tape fade-out).A performance of Canto is more like a ritual than a concert. The piece is not in a hurry and has in common with so called minimal music that one cannot speak of fixed duration. As stated the first performance lasted two hours but it could have easily been more or less. The main part of Canto is indicated by the bracketed systems in bolder type. For the right hand there are two systems on which alternatives (variants) have been notated. Likewise there is one alternative stave for the left hand. Apart from these alternatives each bar or section of the basic part itself has the possibility for variation: by displacement of accents and dynamic contrasts. Some suggestions for these are given in the score by thinly drawn stems connecting notes within each group. A new episode begins at figure in the score, a sort of interlude. Bars and sections are indicated now by letters (A,B,C, etc. to I). This episode and the transposed section from figure consists of a number of sections which are more or less small commentaries on the basic structure A. Through its constant return A forms a pivotal or rest point. The ordering of A and its satellite-sections as given in the score is, in a certain sense, relative. The symbol indicates that in many cases one can either go back or forward in one’s choice of sections and that, depending on the harmonies, certain sections can be combined. The variants notated as footnotes from figure (for the left hand) function as a sort of ‘wandering part’. They do not have to be present all the time – they can disappear and return – and they need not be filed to the notated octave register. Simeon ten Holt was born in Bergen (N.H.) in the Netherlands in 1923 and died in 2012. From 1935 he studied piano and theory with Jacob van Domselaer (1890-1960) – the musical representative of the movement ‘De Stijl”. He continued his studies in Paris at the Ecole Normale 0 with Honegger and Milhaud. During the sixties Ten Holt immersed himself in serialism. He tried to grasp what he called ‘the semantics of musical language’ and looked for ways in which he could expand the possibilities of his musical expression. During the seventies, Ten Holt concentrated on tone and timbre and on sonology. His master-work Canto Ostinato, in which he returned to a more conventional style of composing, was premièred in 1979 in the ‘Ruine Kerk’ in Bergen (province of Noord-Holland). The work was performed on three pianos and electronic organ. Later on Ten Holt felt that the best performance option would be four equal-sized grand pianos; however, the score still bears the subtitle: for keyboards. “’There’s Simeon ten Holt and then there’s all the rest,’ the composer of works such as Canto Ostinato, Horizon and Lemniscaat once said jokingly of his own position in Dutch musical life’. Even today, one could say that, in a sense, this is still true. Anyone challenging a select group of contemporary music lovers to a fiery debate need only mention a single composer’s name: that of Simeon ten Holt (b. 1923). In the late 1970’s, Ten Holt provoked the wrath of countless musical know-alls by returning to sounds that every ear could understand. He had the courage to abandon the complex, twelve-tone scores of the post-war era, which he traded in for simple triads, shifting rhythmic patterns and repeat signs. Completely independent of American composers like Steve Reich and Philip Glass, Ten Holt created a Dutch version of minimal music”. 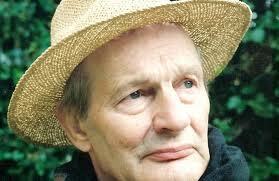 (Paul Janssen) Now what is so typical to Simeon ten Holt’s music? In what does his musical process differ so much from that of other contemporary composers? In Ten Holt’s music the score is complex, in that it contains a lot of different layers, like a multi-track composition. In classical music the composer typically makes the final decisions about what and how to play; here instead, the performers are the decision-makers and are therefore part of the recreation of the composition. During rehearsals for instance, the ensemble may decide to skip certain decisions or write/compose a way to go through the music. In doing so, all performers within the ensemble have an equal input as well as equal influence on the decisions. In other words, there is no leading ‘first piano’. All compositions in this box were written down in large books. Each composition contains approximately a hundred to two hundred sections. Ninety-five percent of all sections may be repeated, the other five percent are so called ‘bridges’ and only appear once. Repetition in this case serves to create a situation in which the musical object affirms its independence and can search the most favourable position with respect to the light thrown on it, becoming transparent. Time becomes the space in which the musical object floats. The musicians navigate through these sections by giving each other visual signs and may even go backwards instead of forward. There is no fixed duration for a piece, but a performance may easily last a couple of hours. The first performance of Lemniscaat, for instance, lasted for thirty hours! This extreme flexibility was completely new to modern music, especially since Ten Holt’s music is based on the natural laws of harmony: tension and relaxation. The music has been constructed within the principle of tonality, but since the duration is more or less stretched, it brings a new perspective to the musical experience. All of this in combination with the democratic process of creation has been a major influence on contemporary music. Disclaimer: The views, opinions and positions expressed within this guest article are those of the author Jeroen Van Veen alone and do not represent those of the Marbella Marbella website. The accuracy, completeness and validity of any statements made within this article are not guaranteed. We accept no liability for any errors, omissions or representations. The copyright of this content belongs to Jeroen Van Veen and any liability with regards to infringement of intellectual property rights remains with the author.